"Tombstones quake, keep your finger steady. The circle will close, better be ready." 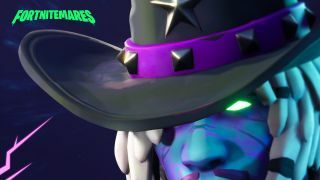 The image looks very similar to the Fortnite shadow stones, but the glowing symbol seems larger and, of course, there are those heavy chains around it. I've no idea what "the circle" could be referring to (other than maybe the circle of the storm, but that's always closing) so again we're left with more questions than answers. With just a week and a half to go until Halloween though, we surely won't be waiting much longer. Be sure to check out our Fortnite Battle Pass Challenges guide so you can make the most of Season 6. And if you want the Dire skin, read up on our Fortnite Tier 100 Challenges guide too!